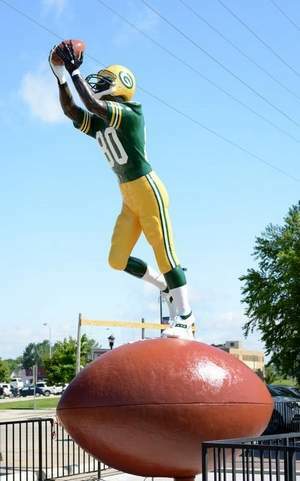 Long Way from Lambeau: Donald Driver honored with statue and street in Green Bay. 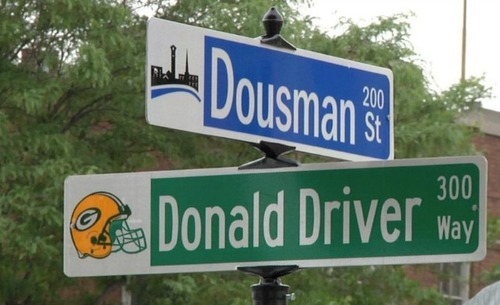 Donald Driver honored with statue and street in Green Bay. Sorry not much to say lately here at the blog and I've been insanely busy. But as it should be the Packers all-time recieving yardage leader has been immortalized in Green Bay with his own street and a statue. Thanks again Double D for all the great years.